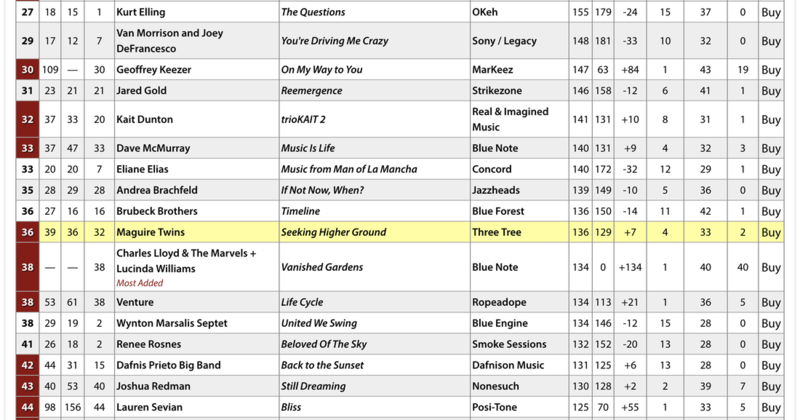 The Maguire Twins is #36 on the US Jazz Week Chart for the second week. Highest Debut on the US Jazz Week Chart! ​While only twenty one, identical twins Alan/b and Carl/dr show a maturity that is quite impressive on this debut album. Born in Japan and currently living in Memphis, the boys were taken under the wing of Kirk Whalum, and the mature education shows, as the rest of the band, Bill Mobleyu/tp-fh, Gregory tardy/ts-ss, Aaron Goldberg/p and Donald Brown/key focus mostly on original material that is assertive and millennially musical. Veteran Tardy brings his Coltrane voice the fire breathing pieces such as “Theodicy” with Carl keeping pace here and as well on Brown’s Elvin Jones-inspired “The Early Bird…” with some nifty stick work and dynamic bass alacrity on display. Some clever and original moments are heard with Carl’s Asian harmonics during his bassline of “Machi no Michi” which also includes some traditional Japanese drum work by brother Carl, while the two show they can burn with the best as Goldberg’s “Shed” is a fistful of dollars, while with Mobley, “49th Street” gleams with delight. Lots of music, with the exuberance of youth without the self indulgence. 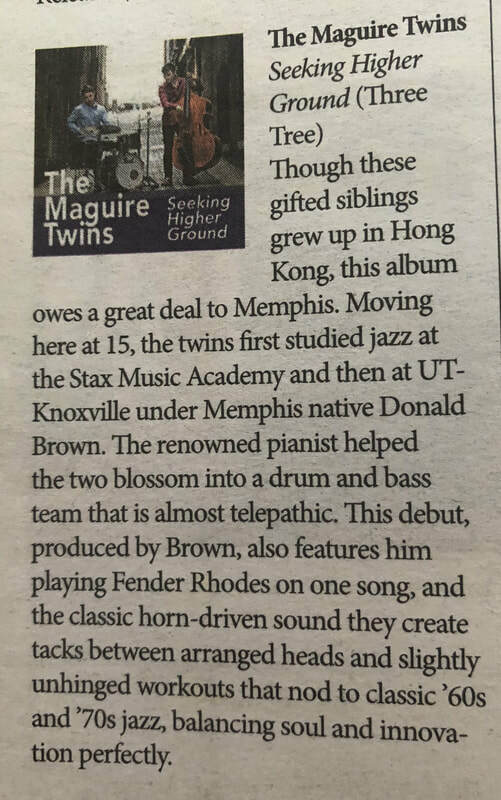 Memphis Flyer reviewed The Maguire Twins' 'Seeking Higher Ground' . ​« Seeking Higher Ground » est l’aboutissement de ce que les Maguire Twinsont hérité des géants du jazz de Memphis et du reste de l’Amérique et du développement de leur propre son. Carl Seitaro Maguire et Alan Shutaro Maguire, jumeaux identiques de 21 ans, sont nés à Tokyo et ont grandi à Honk Kong en ayant étudié à la British International School. À 14 ans, ils ont su qu’ils voulaient faire de la musique le centre de leurs vies. A 15 ans, ils déménagent dans la vibrante ville musicale de Memphis. Là, ils rejoignent la Stax Music Academy de renommée mondiale, y trouvent le jazz qui les attendait et rencontrent le saxophoniste Kirk Whalum qui était à ce moment-là artiste Stax en résidence. C’est aussi là qu’ils ont rencontré le pianiste Donald Brown, qui allait devenir leur professeur, mentor et producteur. A l’âge de 18 ans, ils enregistrent leur premier album “The Sound Of Music” avec Donald Brown comme producteur et Kirk Whalum en invité. Les Maguire Twins sont en concert samedi 19 mai au Trezevant Bistro à Memphis pour la parution de leur deuxième album « Seeking Higher Ground » chez Three Tree Records, sur lequel ils accueillent Aaron Goldberg (piano), Bill Mobley (trompette) et Gregory Tardy (sax ténor). 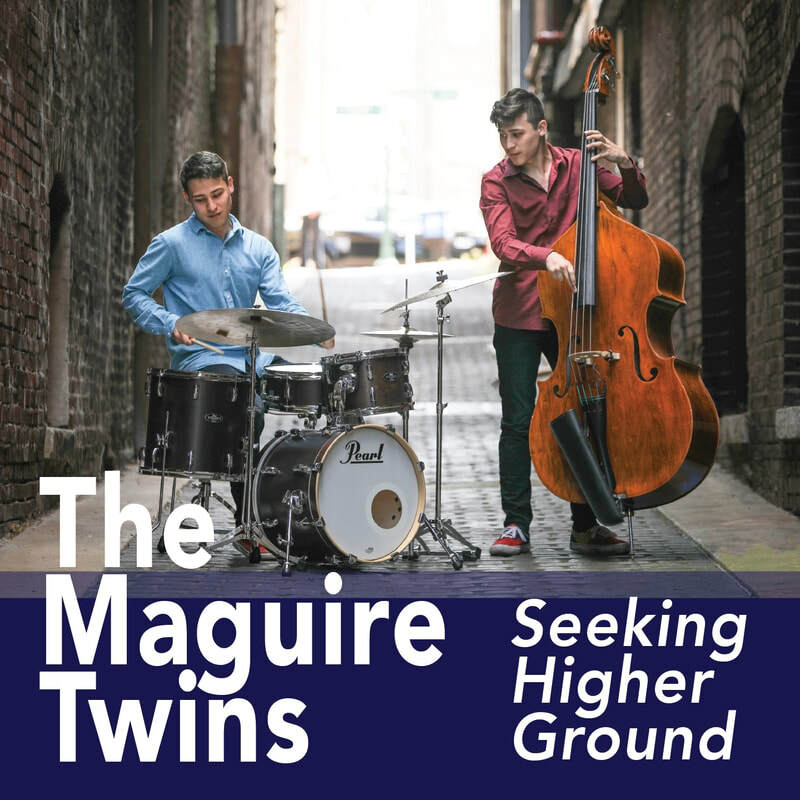 Japan's top jazz review blog, Jazz & Drummer reviews 'Seeking Higher Ground' by The Maguire Twins. Click the photo to view the article. Jazz Critique Magazine, one of the major jazz magazines in Japan reviewed 'Seeking Higher Ground'. 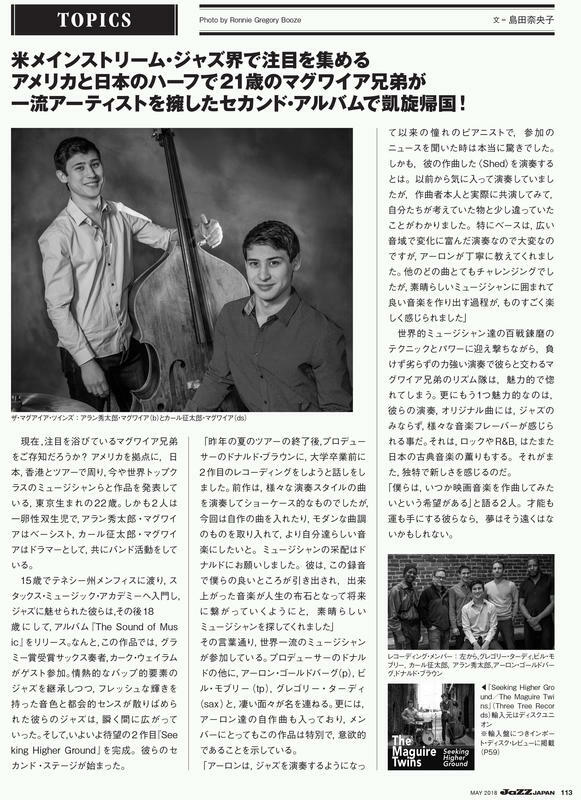 The article about the release of the album, 'Seeking Higher Ground' by The Maguire Twins was on Shuhoku Shimbun newspaper in Akita, Japan. Welcome to Three Tree Records! We are happy to announce the launch of Three Tree Records. We create and distribute the craft of music to the world. Three Tree Records was named after the Japanese word 'Mori' which means forest. The Chinese character of Mori 森 consists of three trees. We make a forest with our three trees and branch out to the world.